Rolfs A, Böttcher T, Zschiesche M, Morris P, Winchester B, Bauer P, et al. 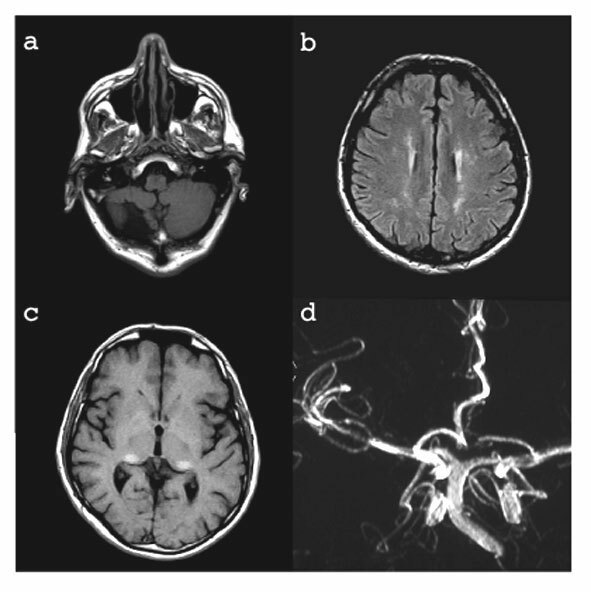 Prevalence of Fabry disease in patients with cryptogenic stroke: a prospective study. Lancet 2005; 366: 1794-1796. Beck M. Demographics of FOS — the Fabry Outcome Survey. In: Mehta A, et al (eds). Fabry disease: perspectives from five years of FOS, 2006; pp. 155-161. Mehta A, Ginsberg L, on behalf of the FOS Investigators . Natural history of the cerebrovascular complications of Fabry disease Acta Paediatrica 2005; 94 (Suppl. 447): 24-27. Ginsberg L, Valentine A, Mehta A. Fabry disease . Practical Neurology 2005; 5: 110-113. Moore DF, Scott LTC, Gladwin MT, Altarescu G, Kaneski C, Suzuki K, et al. Regional cerebral hyperperfusion and nitric oxide pathway dysregulation in Fabry disease. Circulation 2001; 104: 1506-1512. Ginsberg L, Manara R, Valentine AR, Kendall B, Burlina AP. Magnetic resonance imaging changes in Fabry disease. Acta Paediatrica Supplements 2006; 95: 57-62.